Despite our name, the largest and most important service we provide to the community of Mazatlán is private mailbox rentals with a U.S. mailing address. This service is invaluable for many extranjeros living in the city, as well as Mexican businesses who want a U.S. presence. Renters are provided a unique mailing address in Laredo, Texas. 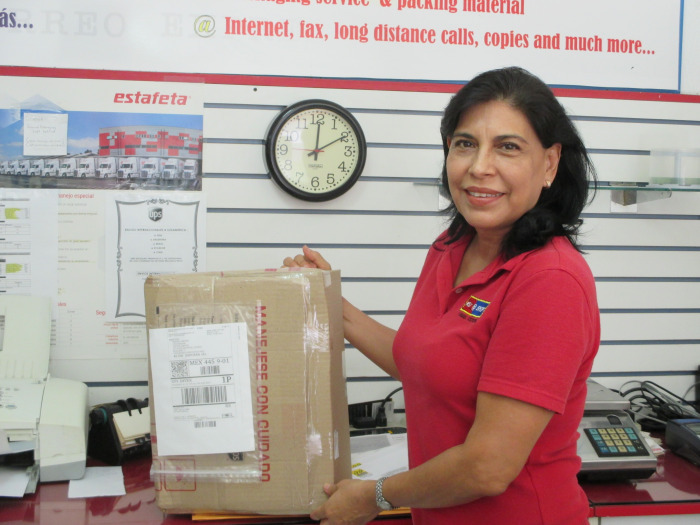 There mail is sorted and shipped twice weekly to Mazatlán. The sorting facility is huge and shared with other companies, including Estafeta. There is a Mexican Customs (Aduana) representative on site, and any packages shipped to Mexico must pass through the customs office for clearance and applicable duty assessment. Packages are shipped separately from mail and bundled with others’ packages to keep the cost down. 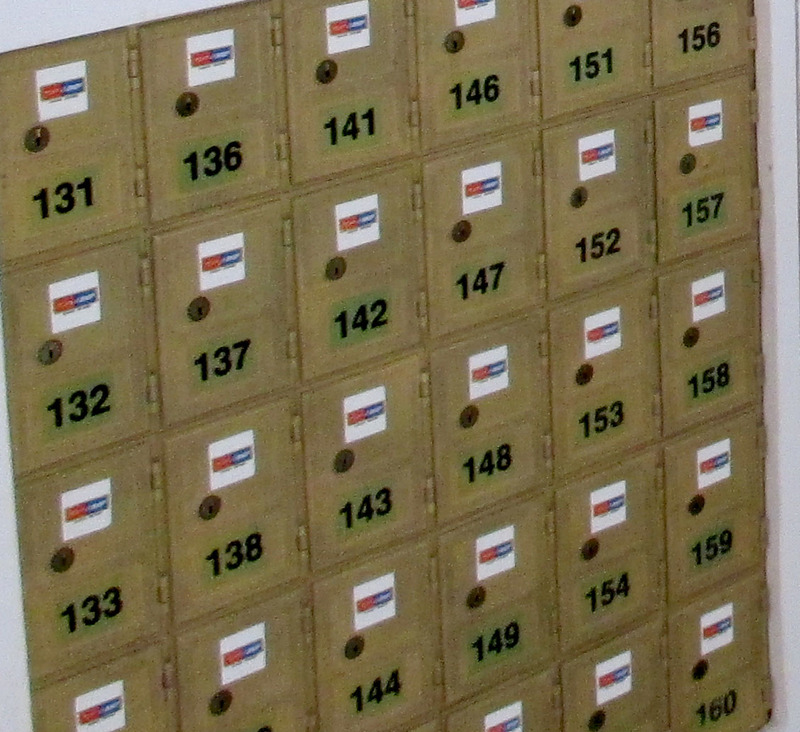 A standard size mail box costs 3,080 pesos per year or 1,940 for six months. Larger boxes are available, but are mostly used by local businesses. Another great service is outgoing mail to the U.S. and Canada using the U.S. mail. For 20 pesos for a one ounce or less letter or card, we will ship your stamped card to Laredo, where it is put into the U.S. mail service. It is illegal to sell stamps outside of the United States and Canada. So, you need to bring some stamps with you. If you don’t have stamps, we will ship the letter to Laredo where it will be stamped. This cost 45 pesos for U.S. and 65 pesos for the Canada (including the shipping). As our name implies, Post and Ship will box up your national or international packages and help you get the best price from FedEx, UPS or Estafeta. We are an official UPS Access Point, so prepaid UPS packages can be dropped off here – no charge for you. 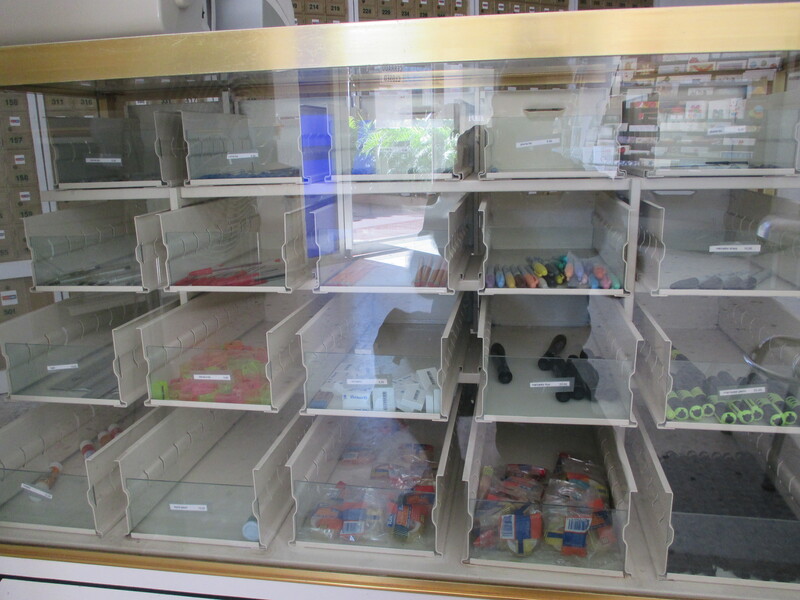 Post and Ship is also part papeleria, selling a wide variety of office supplies like pens, envelopes, markers, folders, etc. We provide copier service, scanning service, incoming and outgoing fax service, and we can even make keys! We proudly maintain a community bulletin board with useful information to the foreign community in Mazatlán. You may have heard our name before as we are often a pick-up point for tickets for various events happening in this wonderful city.